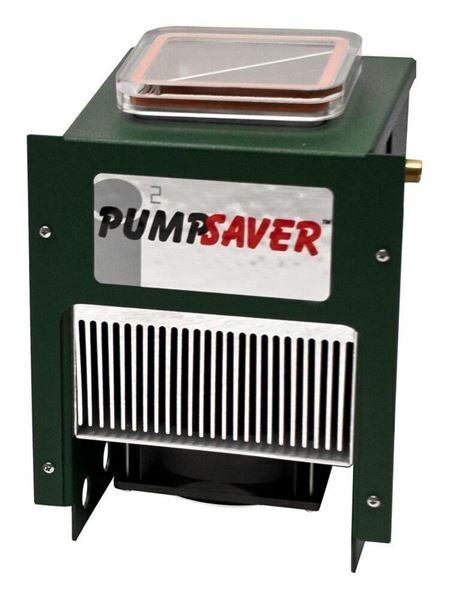 PumpSaver™ Air Drier (120-240V / 50-60Hz) - Gilson Co.
SGA-128 PumpSaver™ Air Drier for SG-35 AutoRice™ Digital Manometer & Controller is an air drier to protect vacuum pumps and optimize efficiency. The high-performance thermoelectric (Peltier) chamber chills incoming air, thereby condensing and removing moisture before it reaches the vacuum pump. This eliminates the need for elaborate moisture traps and desiccant cartridges. It also reduces resistance to air flow, while maximizing pump efficiency and increasing service life. The vacuum pump can reach the desired vacuum immediately, enhancing accuracy and repeatability. The unit has one inlet and one outlet port for connection between the vacuum pump and pycnometer, using 3/8, 7/16 or 1/2in (10, 11, or 13.5mm) ID tubing, purchased separately. The drier unit operates at 120-240V / 50-60Hz. The SGA-128 PumpSaver™ is sold as a single unit and is also available together in a set with the AutoRice™ Controller as Gilson Product SG-36.